Possibility to spend the night at Chennai airport (MAA), if open 24 hours. Services available, places to rest (free resting zones), or look for the list of nearby hotels and vip lounges..
Chennai airport is open 24 hours a day, but it is a bit outdated. Have earplugs or headphones, as the noise is constant. Where to rest: There are padded seats (although with armrests) in the baggage reclaim hall. You can also find comfortable seating in the food court. Some of the enclosure's VIP lounges are open around the clock, but the maximum stay is usually 3 hours. 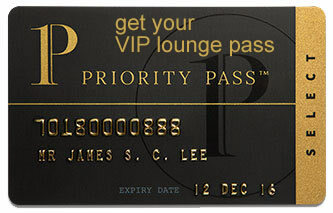 SEE VIP LOUNGES As for hotels, there are several options in the surroundings. Baggage: There is a left luggage service only inside the international terminal. Eating and drinking: Eateries close at night, but there are vending machines. Restrooms: Showers only inside some of the VIP lounges. Wi-Fi: Free for 45 minutes. Other services available around the clock: ATMs, baby changing rooms. Some of the nearby accommodations include: Radisson Blu Hotel Chennai (Tel +91 442 231 0101), Trident Chennai (Tel +91 442 234 4747), Just Guest House (Tel +91 944 402 0270), Quality Inn Airport - Chennai (Tel +91 447 112 2000), Airway Drive In Hotel (Tel +91 442 264 1681), ZingleStay (Tel +91 729 919 3193), Mahalaya Residency (Tel +91 442 264 7170), Hotel Sivam Lodging (Tel +91 442 264 0204), Mars Hotel Deluxe (Tel +91 995 296 6992), NK Grand Park (Tel +91 442 264 7700). Most of them provide transportation to and from the airport.